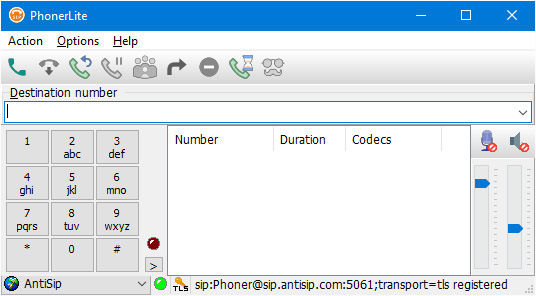 PhonerLite is an SIP softphone for making and receiving VoIP calls. It supports multiple SIP profiles, integrated phone book and call logging. 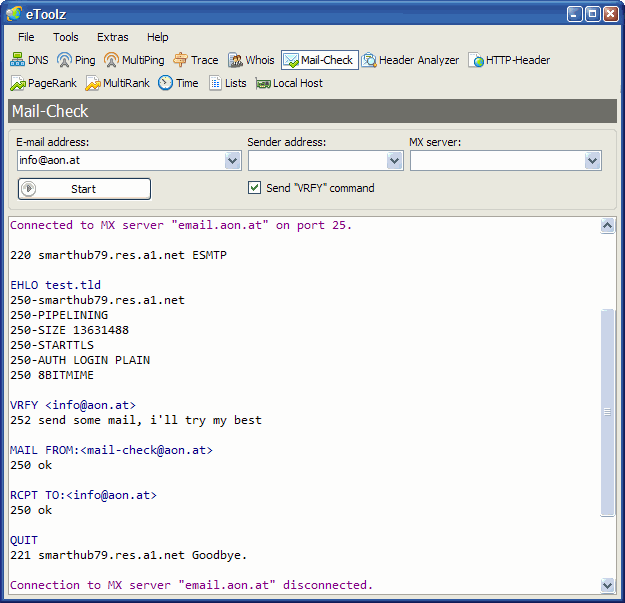 Note: PhonerLite is a stripped-down version of Phoner, with a different but more user-friendly GUI. They use the same DLL and configuration data (sipper.ini) and can co-exist in the same folder. How to extract: Download the ZIP package and extract to a folder of your choice. Launch PhonerLite.exe. Fix: freeze after call termination. Haha - I'm still using this program! It's still the best you can get for free. eToolz includes some of the most important networking tools like NS-Lookup, Ping, TraceRoute and Whois. It allows also to check E-mail addresses (MX-Server) and to search/convert domain names showing DNS entries (A, PTR, NS, SOA). eToolz supports also international domain names. How to extract: Download the RAR package (using 7-zip or other RAR-compatible extractor) and extract to a folder of your choice. Launch eToolz.exe. Optionally, delete unnecessary language files, flags' images and help file. It should be mentioned, that eToolz requires NET3.5 - I think since version 3. It does NOT run on Windows 8 and higher with the integrated NET 4+, if the optional NET3.5-package is not installed! Web Downloader is a download manager that supports drag-and-drop or clipboard monitoring of download links. You can use multiple threads for better speed as well as stop/resume downloads at will. The program supports the use of relative paths for the download directory, avoiding drive letter change problems associated with USB drives. Optionally, enable "use all relative paths" in "Options > Preferences dialog ..."
I have unsuccessfuly tried to download a large ISO file using Google Chrome or Firefox. Download was uncomplete. The latest version of Web Downloader is 1.2.0.6. Idefisk is a VoIP client that supports IAX/IAX2 (for people running Asterisk) and SIP. It comes with an address book and call history log. Note: Idefisk has been rebranded ZoIPer with two different versions: Free and Biz. From an email I received from Mike, it appears so many features have been stripped from ZOIPER Free that one is better off sticking with Idefisk. As such, I am making my copy available for direct download. Writes settings to: Application folder. However, it always create file association entries in the registry, so it is not stealth. OK, I will update the "Write settings to" field to clarify this point. i'm involved in the development of this phone. If wanted, we could make an option in the config file not to put anything in the registry. The file associations are to make it easier to auto configure it, by importing settings when clicking on a special config file. I do not like the registry myself, thats why most of it is in xml instead, so we could add an option in those xml files not to store anything in the registry. Integrity Checker checks the integrity of your files to ensure they have not been tampered with. The files you select for protection will have their file size stored together with either a hash or HMAC (user selectable) generated from the contents of each file. By comparing this information with what is actually stored on your drives later, any changes will be flagged up for your attention. With some command line parameters, you can load and cross-check the list of files in the background and only be alerted if any integrity mismatch is detected. Delete src.zip to save space if you do not need the source code to the application. A useful but restricted program since files must remain on the same place on your system to check them. This means if a removable drives change letters for any reason, the files will not be able to verify. This makes it difficult to verify files and media across computers -- one of the fundamental reasons to have file verification (to combat CD scratches, failed downloads, etc). The author has not updated the program since Apr '06 so it doesn't appear this is going to be fixed. Had problems testing with multiple multi-gigabyte files. Had a lot more luck using uTorrent to generate and verify hash files instead.